Seventeen miles from Mount Rushmore in the Black Hills of South Dakota, construction on the world’s largest mountainside carving has been underway since 1948. 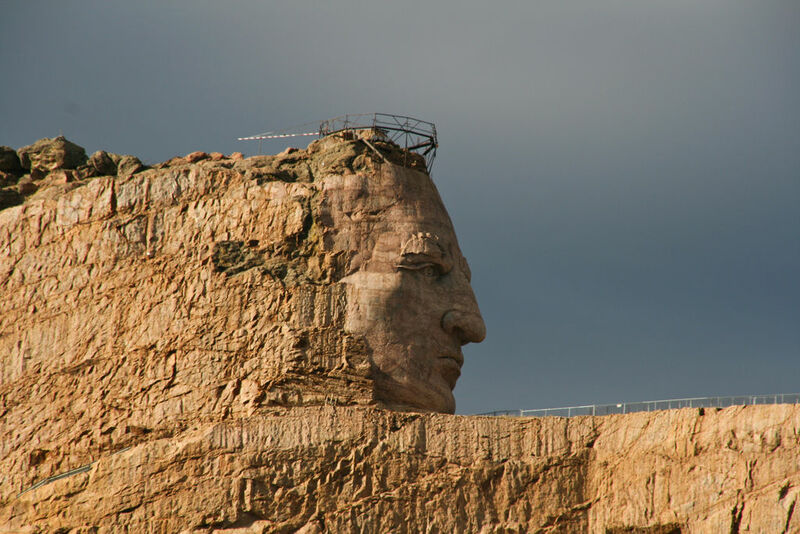 A huge rock portrait of a great American statesman, the sculpture has nothing to do with presidents, senators, or even Washington D. C. politics in particular – but rather an honor to one of the greatest leaders to grace the history of the Sioux Nation. Originally, the idea for the gigantic rock frieze sprang from the mind of Henry Standing Bear, a Lakota Sioux elder who in 1929 wrote to sculptor Korczak Ziolkowski for the initiation of a titular image that would announce to the world that Native American leaders are every bit the equal to those in the white man’s world. When completed, the dimensions of the magnificient monument will be colossal, portraying the image of the famous chief on a horse as a “mountain-sized statue that is as long as a cruise ship and taller than a 60-story skyscraper.” A work in progress, attention has now turned from the 88-foot-high face of Crazy Horse to the head of his stallion, which will stand a whopping 219 feet high. According to estimates, completion of the entire project will come circa 2120, meaning that efforts have not even reached the halfway point in creation. Formation of such a mammoth figure is no easy task, involving a Crazy Horse Mountain Crew that employs “precision explosive engineering” to hew away at the heavy stone, which then becomes the subject of more delicate work on the finer details. The memorial – even if it is still an effort in the making – is but one part of an educational and cultural center that will ultimately include an extension campus to the University of South Dakota, but which at present is referred to as the Indian University of North America. Since 2007, more than $7 million dollars from wealthy benefactors have poured in to benefit both the college campus and the Crazy Horse Memorial. Under the guidance of the Crazy Horse Memorial Foundation, other facets of interest include a museum, restaurant, gift shop, and conference center – making it a very comprehensive non-profit effort to foster and preserve Native American culture. Periodic editions of the Crazy Horse Progress newspaper notify donors and cohorts, who are referred to as the “Grass Roots Club,” of progress to the monument and other efforts promoted by the foundation. Fundraising goals first announced in 2006 came to fruition on the 29th anniversary of Korczak Ziolkowski’s death, when the memorial announced on October 21, 2011 that philanthropist T. Denny Sanford had matched the $5 million raised through other smaller donations. With enough money in the bank to finish the massive horse upon which Crazy Horse is seated, one might think that serenity characterized the world of the Sioux– but such is not the case. Making matters more interesting is the elusiveness of Crazy Horse, who carried a reputation in life for avoiding photographers and portrait artists who followed the famous warrior incessantly hoping to capture his countenance for publication. Cameras of the time were very large and bulky, making any pursuit of Crazy Horse a difficult prospect – and when he enlisted the support of family members to protect him from these intrusive attempts, the result became a total lack of confirmed photos. To this day, there is only one photograph that alleges to be a true image of him, but experts dismiss this claim as bogus. This elusive nature followed Crazy Horse to the grave, because his burial spot is a complete mystery to the modern world. After leading his people back to the reservation in 1877 – the year after the Battle of the Little Bighorn – an army private tragically bayoneted and killed the thirty-six-year-old warrior. White authorities turned the body over to his parents, who secretly conducted the interment without revealing the location. 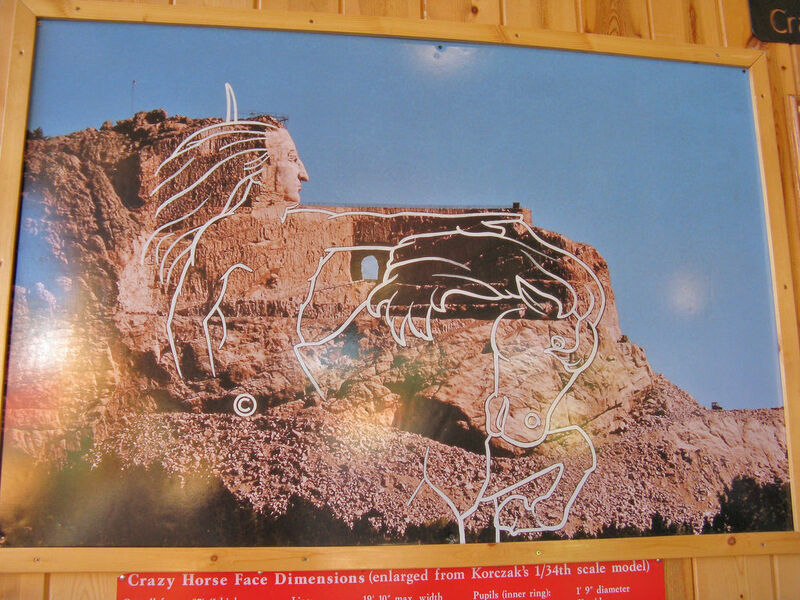 Those of the Sioux Nation opposed to the Crazy Horse Memorial argue that a man so contrary to having his image captured on film would never agree to have it sprawled across the face of a mountain, and his undisclosed burial site would seem to indicate the same. 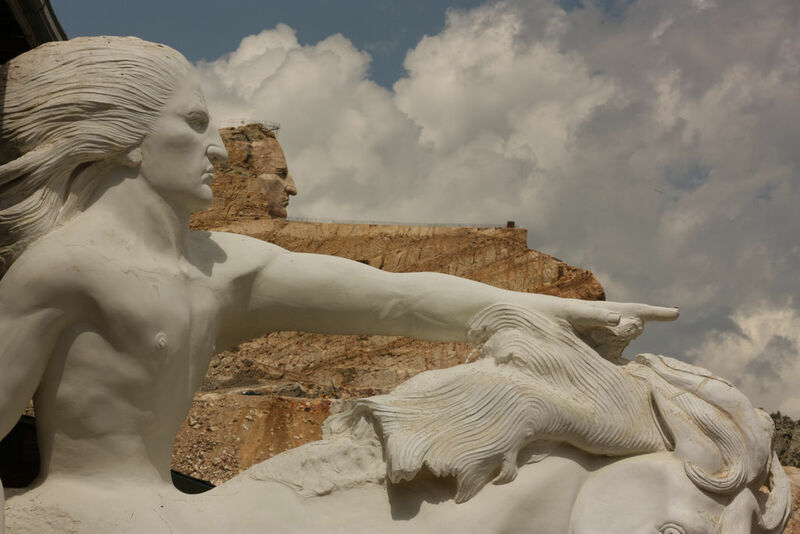 Despite its unfinished status, the Crazy Horse Memorial attracts more than a million visitors per year, providing $1 million in scholarships toward the education of Native American students attending South Dakota schools. Events occur year round at the site of the monument’s construction, which when completed will make it the largest statue in the world – unseating a statue of Buddha in China for that honor. Controversy aside, the memorial’s success cannot be denied, but let us know what you think in the poll below. May the same persistence evident in efforts to bring the Crazy Horse Memorial to reality re-energize House Resolution 2982 and bring it to fruition in the form of a national monument dedicated to the victims of terrorism. For more information on H. R. 2982, click the link on the right side of our home page. This entry was posted in Posts for the Cause and tagged Architecture, Battle of the Little Bighorn, Black Hills, crazy horse, Creativity, Current Events, House Resolution 2982, House Resolution 2982, intelligence reform and terrorism prevention act, Korczak Ziolkowski, memorials, monuments to the fallen, monuments to victims of terrorism, mount rushmore, national pride, native american, peace, sioux, South Dakota, terrorism, terroristic violence, world brotherhood. Bookmark the permalink.